Wow, where does the time go, or in this case, the summer. Ironically, today's high in Seattle was 73 degrees (a new record). The weather has been very mild this late into fall. Nights are getting cooler though, and the rain has picked up. Predictions for this winter include lots of snow. I have removed the rest of any summer vegetation. In addition, some broccoli starts I planted several weeks ago are coming along nicely. The fuchsia continues to bloom so I'm putting off the yearly shearing of branches. 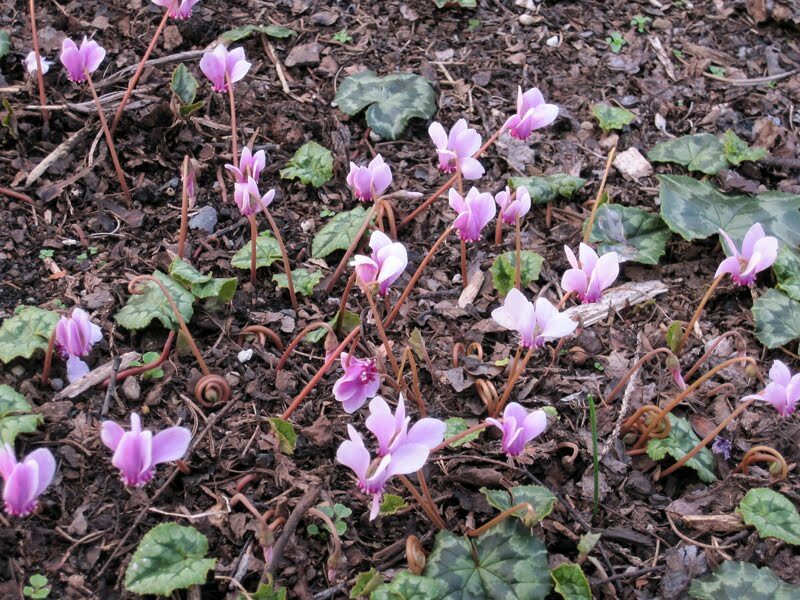 Cyclamen Hederifolium is sprouting (see pic below). The major project this fall though has been the dozens of tulip bulbs I have planted in the eastern half of my main plot. This is why I should stay away from nurseries this time of the year. I can't remember how many varieties I ended up planting but I'm sure to find out come next spring. 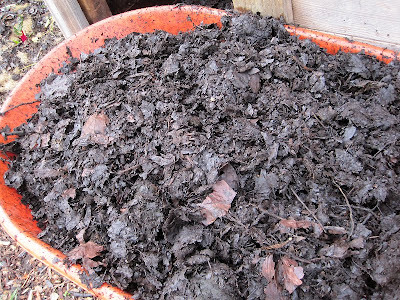 As for putting the garden to bed...I began spreading a late batch of compost and covering areas with burlap (free from the Magnolia Garden Center). Finally, visited Molbaks (Woodinville, WA) and checked out the early Christmas plants/decorations. 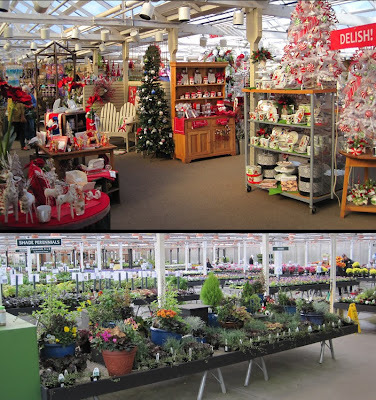 By the end of November the place will be packed with poinsettias.